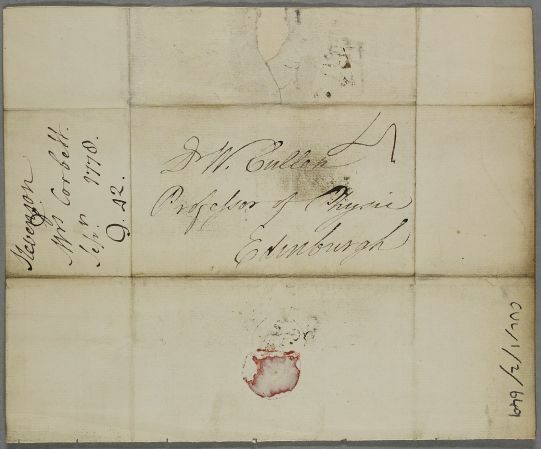 Letter from Alexander Stevenson regarding the case of Mrs Corbett. 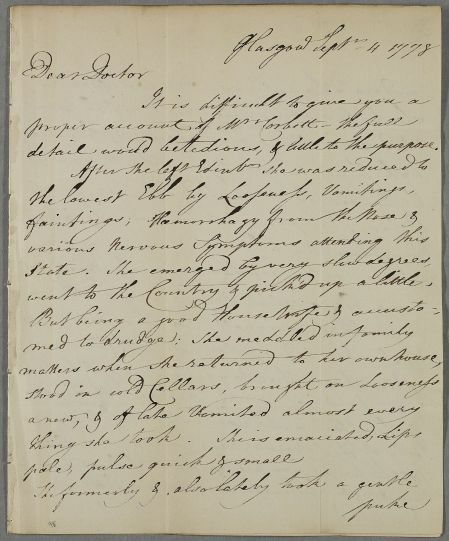 Summary Letter from Alexander Stevenson regarding the case of Mrs Corbett. 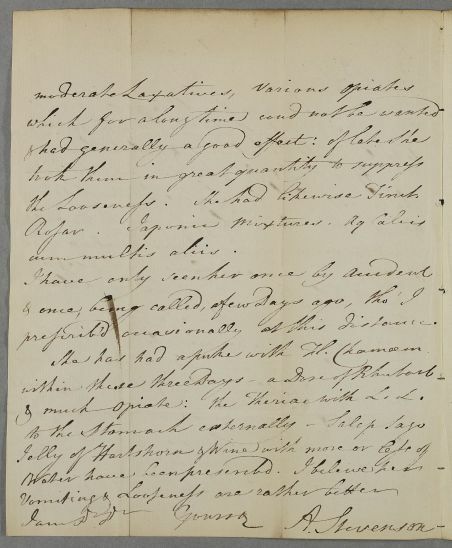 Case of Mrs Corbett of Tolcross who has a weak stomach accompanied by faintness and nosebleeds. detail would be tedious, & little to the purpose. went to the Country & pick'd up a little. prescrib'd occasionally at this distance. the Looseness. She had likewise Tinct.